Jessie, a thirteen year old living in a village in 1840, realizes that the people in her village are dying of diphtheria. Her mother reveals to her that it is actually 1996 and she is living in a reconstructed village that serves as a tourist site. 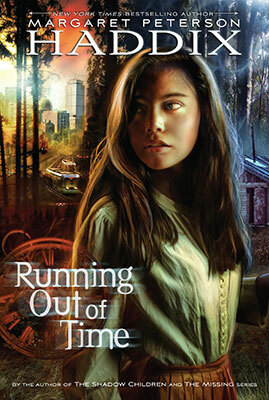 Jessie is the only one able to escape into the outside world and get help to save her family. I really enjoyed this book and have read it about four times. It has adventure and thrills throughout the whole story. It also shows what one might feel to be thrown into the future alone. I would recommend this book to pretty much everyone. It contains drama, corrupt leaders, and thrills.